Federal Reform of Spain vs Secession in Catalonia. Could Constitutional Reform Provide a Response to the Demands Upon Which the Justification for Secession Are Based? 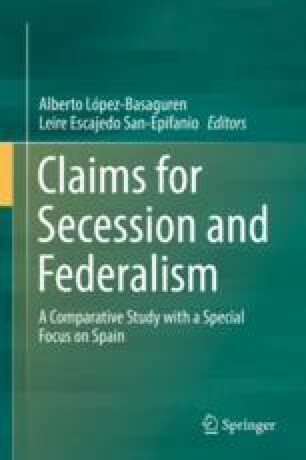 This paper argues that the declared aspiration towards the unilateral secession of Catalonia not only lacks justification as it violates the Constitution, the law and the Rule of Law, as well as not having a majority that could support it nor adaptation with the plurality of the identifications of belonging held by its population, but that it is not materially justified by the arguments claimed as grievances, either, as many of the absences denounced in terms of the injustices, the deficits of democratic and structural quality and the functioning of the political system endured by Catalonia, are shared by the other territories. All of them, including sufficient recognition of Catalan singularity (leaving to one side sovereignty, today, in the post-national era, shared de facto at all levels) would be in its case open to being adequately and democratically granted for their resolution via the principles and techniques of federalism. This confirmation should lead to the opening of appropriate political negotiations for converging in the proposal for a constitutional reform in the social, democratic and territorial organisational spheres that are democratically satisfactory for all and move us away from the social, political and territorial fractures from which we suffer today (without by doing so neglecting other necessary reforms). Editor’s Note: This manuscript was written in late 2016.